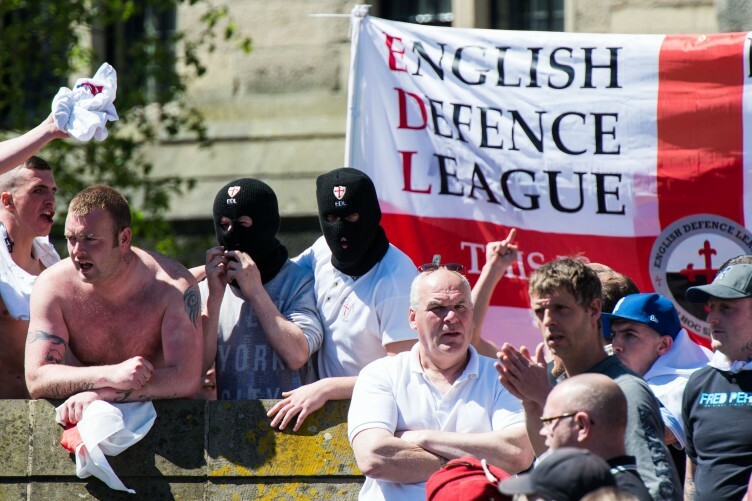 Brexit and it’s Friend Racism: The underlying reasons for leaving the EU! In 2005 I left the UK for the EU for what was then an 18 month stint in “mainland Europe”. Mainland is an important word here as the attitudes of people in the civilised part of Europe are markedly different to those who feel the Southern part of their island is under constant siege from foreigners and foreign made baguettes, wine and cars. In Luxembourg (where I have now lived twice) the idea of saying no to foreigners who come here to work everyday would be nuts and Bonn was also quite international and tolerant. These aside though, it was noticeable however that Britain was facing an identity crisis; was it still a former colonial power that should be treated with more than average respect? Or was it a declining power which needed to be part of strong Europe? Scotland has a parliament and identity, but why not England? Is England just into Morris Dancing and celebrating 1966 or is there more, but what more exactly? In reality England has a lot to offer and is a great place but it has now picked the wrong battle to fight. Also contrary to what we saw the other evening the vast majority (even many UKIPers) are not racists! This British identity problem, coupled with fear of EU power and immigration all came together on “independence day”. The island siege mindset culminated in 2003-04 when the then Labour Government promised to deport a certain number of people, this arbitrary number was typical New Labour; i.e. a grossly over simplified policy designed to grab the headlines. Added to this were the images of young children of illegal immigrants being dragged at gun point out of bed during the dark hours in order to send them to light weight concentration camps aka immigration detention centres. It should be noted that these televisual feasts were displayed as a symbol of pride by the then Labour Government, as at last they were very tough on immigration. In a few short months the tolerant and inclusive Labour party had become so terrified of the Hitler supporting Daily Mail that it become little more than a soft and cuddly version of the France’s Front National. It had also legitmised fear of foreigners which they and others then exploited as a political tool to gain votes. UKIP member didn’t realise he was also a member of the far right BNP- a computer error apparently. As the screaming children were being dragged from their beds at gun point and put into detention centres, often without proper legal process many new countries joined the EU such as Poland, Latvia, Lithuania and Estonia. At first there were no serious problems, local bus companies for example openly recruited new drivers from Poland and other companies welcomed cheap summer student labour for tasks the locals would not touch. Unlike the rest of Europe, the UK let people in without any waiting period; while I personally agreed with this many people did not. Suddenly the minimum wage paying jobs they had never had any interest in applying for were being taken by people who actually wanted to work (but they were from abroad). Suddenly those who were having to justify every two weeks why they had not yet found work, found this task a little more difficult. Initially the BNP (British National Party) benefited picking up votes in many working class Labour heartland areas. Over time though even those areas realized that the BNP was a little too objectionable and instead many joined or voted for UKIP (United Kingdom Independence Party). UKIP itself openly targeted BNP supporters and in recent elections they were pleased when 1 in 9 BNP supporters switched to them. Shop owners (not to be outdone on the intolerance stakes) started saying that too many of their fellow shop owners were Polish – thus driving out local shop owners! I suspect any property owner would simply let out shop premises to whoever can pay the rent! Which begs the question, why did no local person open a shop instead? Image from a Daily Mail article complaining about too many Polish workers at a UK factory. It is possible to dismiss UKIP supporters as a bunch of racist loons, but that is both wrong and unfair. Many UKIP people are worried about their future and that of their country and perhaps their younger family members who they see as being denied work due to immigrants. They fail to notice though that if more immigrants come to town and work then more local taxes are paid, more money is spent in shops/restaurants/bars and thus employment overall increases. The tax take also goes in part into local services, which is often no bad thing as these younger people often have no children and are not heavy users of public services. The UKIPers blamed in the EU due to its free movement policy, in reality the faults lay closer to home. However, while many in UKIP have concerns the main stream press and political parties did not sufficiently tackle the underlying racist dimension to many UKIP policies and propaganda. Instead they remained tight lipped thus in effect allowing UKIP to redefine much of the British immigration and foreign policy agenda on it’s terms. Suddenly the set of new arrivals became targets of hate; through no fault of their own. The term refugee, illegal and legal immigrant all became mixed up into one. Basically anyone who was foreign was viewed as doing little more than denying local people jobs and using public services. At this point the Government and the EU should have woken up. Rather than concentrating on mobile phone pricing the EU should have been focusing on supporting meaningful projects to support local communities during these integration years. The UK Government should have actually realized that local people needed support through proper training programmes to get back to work and meaningful assistance in setting up their own businesses. Suddenly the mistakes of the 80s became clear, i.e. no proper apprenticeship programs, poor vocational educational opportunities and lack of large scale industrial employment. The simmering problems and resentment culminated in huge support in many areas for the BNP and UKIP. Still the EU and the UK Government carried on with its emphasis on open international markets, trade and needless schemes for ever closer union – which I have yet to see any EU state actually call for! Therefore completely missing the point that what was needed was localization, localization and localization! Better local services, better local training and better local employment opportunities. The result was yet more hate towards those perceived as taking their jobs, even if those jobs were out of their reach or as was more likely the case they simply didn’t want to do them. In the end no UK political party really deep down wanted to deal with the real social problems being faced. Saying you are tough on immigration was viewed as positive so they needed that lightening rod of anger to maintain their own popularity. Without being anti immigration there was little else they could actively promote which made it’s way into the media. Suddenly Britain was seeing the green shoots of racism and increasingly this was not just the white British population. It included for example people from India, Pakistan and other former colonies who saw their rights as former British subjects being eroded. Immediately it became acceptable to shout abuse at the Polish residents or to openly call for limits on people coming from the newer EU countries. Add to this the increased poverty and national identity problems mentioned earlier and quickly you had a powder keg of racism, unemployment and fear. In the end the people found it easier to blame the EU than either themselves or the national Government. 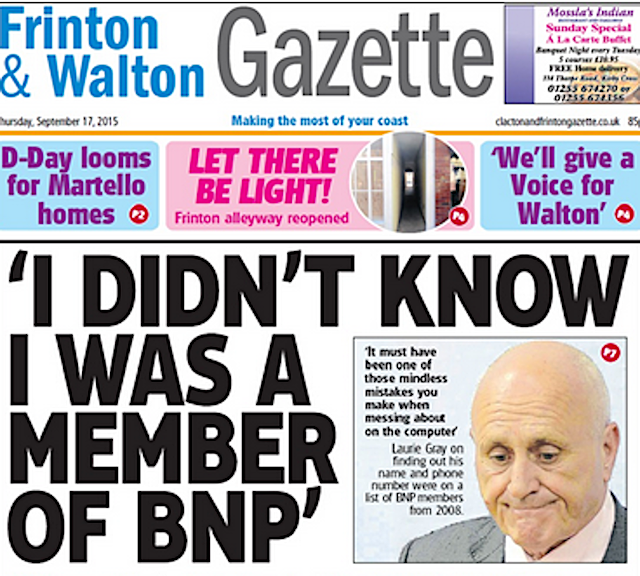 After all they could (and often did) vote in BNP and UKIP councillors and MEPs. They could however not vote in anything European as that was undemocratic (except for those MEPs of course!). When the referendum was finally called many people such as myself had already had enough of the UK (incidentally I also always thought the UK would leave although occasionally I thought we had a chance of staying). On this basis I for one decided some years ago that the warning signs were so bad that I had no real desire to return. It was clear that being racist was now an acceptable part of political discussion and that provided you could use 1930s Nazi style posters and economic half-truths to back up your statements you had a chance of setting the agenda. Something which Nigel Farage exploited perfectly, even if he himself is not racist (he is after all married to a German lady). England and Wales have now voted out or leave. Their vote to leave, was not a vote to Leave Europe as many like their cheap Spanish holidays, their German friends but not Polish bus drivers. They also want to continue trading with Europe – let’s see about that one! Rather it was a vote to leave an organisation (the EU) which grew out of the desire to prevent racism being used as a political tool for power. In essence Britain has rejected that in favour of fear of thy foreign neighbour. Germany made it’s mistake 70 or so years ago and won’t again (it is in my view a model EU state). Sadly, though Britain is now embarking on the path that caused Europe so many problems in the past. I would therefore like to thank all the politicians who harnessed racist attitudes to enhance their own desires for power. Even if you are a blond bombshell and socially Liberal you will be out of power in minutes unless you carry on the agenda you were voted in to implement. So congratulations Boris you are now effectively England’s first BNP-UKIP PM – Scotland voted to stay so I hope we don’t have to have you in charge of us for too long! Finally, you know you are on the right side of the political divide when Wilders and Le Pen congratulate you! Scotland: Will it get Nasty after Independence? This entry was posted in human rights, politics and tagged BNP, brexit, labour, racism, UKIP. Bookmark the permalink. 3 Responses to Brexit and it’s Friend Racism: The underlying reasons for leaving the EU! Dear Rod, we were all stunned including my British husbands 87 year old father! Never had we thought it would actually happen and I fear for our kids and what it will mean a few years down the line. Populist movements like this one has plagued Europe in the past and led to nothing good. What is next? Tribalism has succeeded and I do think all Europeans should be on high alert. What a wasted effort of the last peaceful decades of this continent. And yes, Boris et al do have a lot to answer for. Yes, many people are shock, including some in the 65+ category who are little more open minded. I really hope the EU wakes up now and looks at frameworks and programmes to assist with integration and migration in Europe. We cannot afford France and Hungary to start with going the same way. I doubt Germany will as it fell for that trap back in the 1930s. Boris and Dave sadly have a long standing hate of one another. The result is that the boyish fopp of a lad Boris managed to pull the UK out of Europe so that he could become PM. I am not sure if you’re in Perth Indignant, or elsewhere in Oz. lot the identical as the copious opinion emanating from Britain of a state that has utterly deserted the law-abiding.